There's a lot of discussion about things we can do to make our homes more energy efficient. But how do you measure your results. That's where the new industry standard, the HERS Index, is making a difference. It provides a way to measure not just new homes but all houses against one energy performance scale. HERS Index Score – is the industry standard for home energy verification. It is recognized by government agencies like the EPA, and national mortgage companies in the US. Residential Energy Services Network (RESNET) – is a non-profit created in 1995, to develop national standards for home energy ratings. Certified HERS Raters (also called verifiers) – are accredited by RESNET, to perform third party verification of homes. HERS Index Score – is what homeowners receive from HERS rating raters. Training and certification of RESNET Home Energy Raters. You can search for one near you, on RESNET's directory. Air leaks in the building envelope – where air moves between the inside of your home, and outside. They determine how much air is exchanged, and where the leaks are. 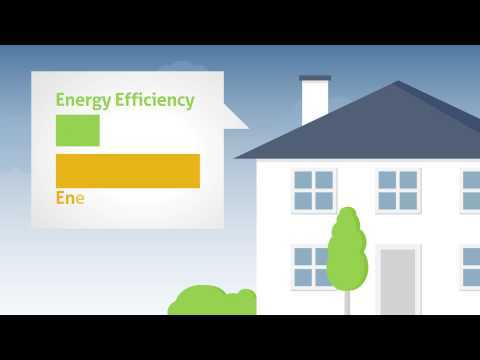 Windows and doors efficiency – as they're part of the building envelope. Air leaks in HVAC ductwork – where leaks occur when heated/cooled air is distributed through your house. Insulation – in your walls and ceilings, including floors/ceilings between conditioned and unconditioned spaces like basements, attics and garages. Thermostats – as they control the frequency and duration of when your heating/cooling systems run. Air quality – to insure there are no existing or potential combustion safety issues. Water heating systems -which use energy to heat hot water in your home. RESNET software calculates a HERS Index Score by comparing information from your audit to a “reference home” of the same size and shape. The reference home has a score of 100, meeting all 2006 International Energy Conservation Code (IECC) requirements. Typical resale home scores 130 on the HERS Index, per the US Department of Energy. Standard new home is rated at 100 because it's built to the latest building codes. Energy efficient houses have a HERS Index Score of 70, which is 30% more energy efficient than a standard new home. Homeowners get estimated monthly utility costs (electric and gas if available) with their HERS Index. Using assumptions about annual energy usage by heating and cooling systems, appliances and lighting in your home's plan, affects your estimated utility costs. Average local energy utility rates are also factored into these estimates. Your actual energy costs will depend on many factors. These include daily activities, home maintenance practices, household size, age/condition of appliances and lighting. Your results will also be affected by how well your climate control system (thermostats) work to control indoor comfort versus the weather outside. The HERS Index is heavily used by home builders to promote sales of their houses. If you're not planning to buy a new house, you can use the same home energy assessment to make improvements to your current home. Here are the benefits you'll gain from getting an audit and making improvements to your home. Gain more insight into the true cost of home ownership, with a HERS Index rating. Improve your home's comfort without increasing utility bills. Lower energy bills giving you a return on your investment in home improvements, like sealing your house and adding insulation or upgrading to a smart thermostat. Higher resale price when selling your home. A study by the Earth Advantage Institute found new homes with third-party certification sold for 8% more, and existing homes with certification sold for 30% more. Here's a short video from RESNET, explaining how all the pieces of the puzzle surrounding the HERS Index fit together.